It's Fall! Technically it's not Fall yet (Autumn starts 9/22), but the nights are getting cooler and our trees are changing colors and leaves are falling already. 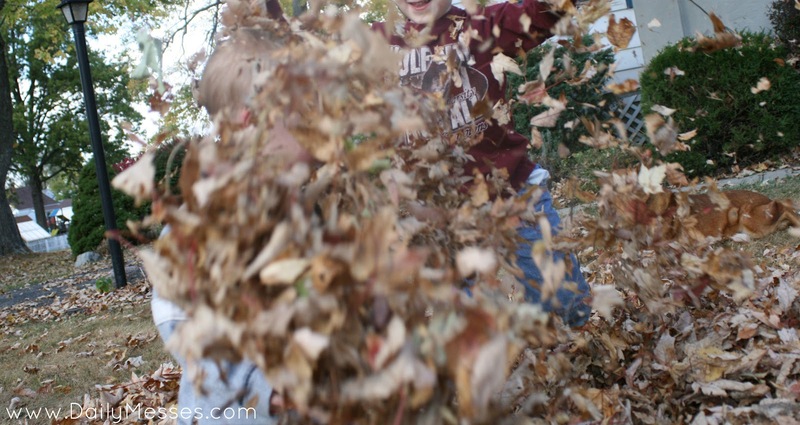 When the leaves start to fall, it's a great time to jump into leaf piles and to make crafts! 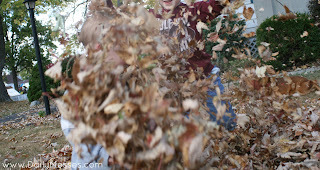 As you might be able to tell from the picture above, my kids love playing in the fallen leaves. They also like to pick out their favorite ones when we go on walks, or even just from our yard. Since I don't want a ton of leaves around the house, we made place-mats! I bought sheets of contact paper, peeled one side off and let kids cover the sticky area with the leaves they had picked out. Next, I covered with the other piece of contact paper and smoothed it out as I went to try to get the air bubbles out. Each of the kids had their own homemade place-mat for lunch! 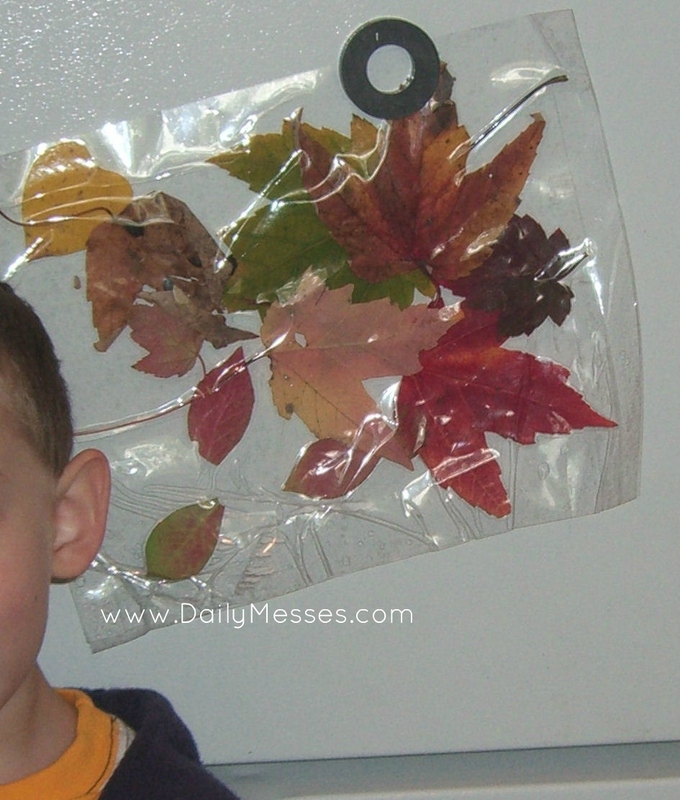 (The leaves still turned brown after about a week.) After lunch, we wiped them down and hung on the fridge for fall artwork!